This adorable Birthday tote is sure to please. 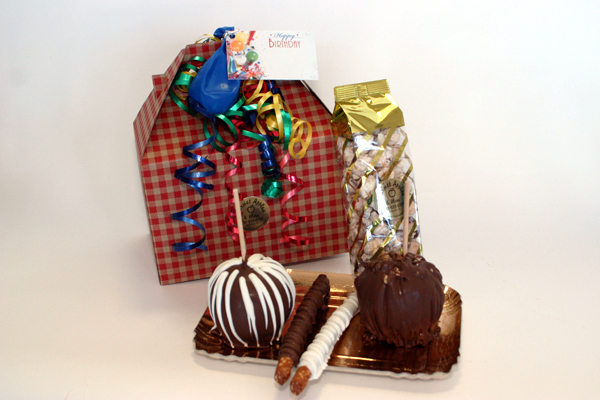 Containing 2 small apples, 1 Traditional (Caramel, milk chocolate & pecans) 1 Plain Jane (Caramel, milk and white chocolate), 2 Chocolate Dipped Pretzel Sticks, 1 - 4 oz. bag of our Chocolate Popcorn.